The Lincoln Stars snapped their six-game road losing streak tonight with an impressive 3-0 shutout win over the Stampede in Sioux Falls, SD. With the win and the two points, the Stars improved to 27-14-4 (58 points) and are still in sole possession of second place in the USHL Western Conference. Lincoln is now only one point behind the first place Omaha Lancers (59 points) in the standings. The Stars still have one game in hand over Omaha. Click here to view the current USHL standings. Absolutely dominating effort by the Stars tonight, as they outshot the Sioux Falls Stampede 50-16. Yes, you read that right. 50-16. If it wasn't for the heroics of Stampede goaltender Charlie Lindgren, the Stars could have easily scored 10 goals tonight. The three goals Lincoln did get past Lindgren were scored by Jared Hanson (assist to Logan Smith), Kevin Roy (PP - assists to Dominik Shine and Ralfs Freibergs), and Luke Johnson (assist to Kevin Roy). Stars goaltender Jackson Teichroeb wasn't too busy tonight, but was solid when called upon with 16 saves on 16 shots on goal. Teichroeb earned his 16th win and 3rd shutout of the season. Stampede goaltender Charlie Lindgren stopped 47 of 50 shots in the loss. This was the third straight game the Stars ran into a hot goaltender, and luckily they have earned five of six possible points from those three games. So in their past three games, the Stars have put a total of 142 shots on goal. Opposing goaltenders have stopped 133 of those 142 Lincoln shots. Lincoln has outshot the opposition 142-69 in the same three games. That's nuts. 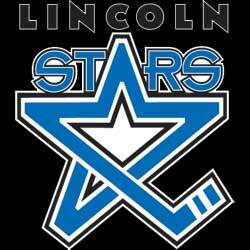 Lincoln went 1-for-4 on the powerplay, while Sioux Falls went 0-for-2. The Stars are back in action this weekend with a home game at the IceBox against the Cedar Rapids Roughriders on Friday night, then a road game against the Des Moines Buccaneers on Saturday. More on those two matchups later this week. Good win for the guys last night and glad to see that they did not mess around. I only wonder how Jackson managed to stay awake with that little work. Kevin Roy stays on his drive for 100. Now we can prep for the swimming and 'diving' meet this Friday night.